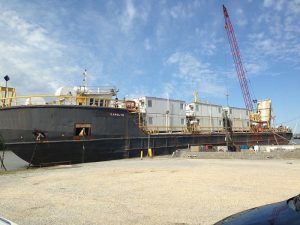 268′ x 60′ x 19′ roll on, roll off barge with ramp. Quarters sold with barge. CALL FOR PRICES.